Quality Services All types of horses - from minis to drafts. Provides general farrier services to all equines – including Drafts, Hunter, Western Riding, Ponies, & Minis. Also provides trimming upon request for other ranch animals. Louisiana farrier services including parishes of Beauregard, Vernon, Allen. Other areas by special appointment. 1. I work by appointment only. I will call if I am running late. 3. I expect payment at the time of service unless prior arrangements have been made. I accept cash, or check as payment. I do charge a $35 fee on returned checks. 4. I require a decent area in which to work. 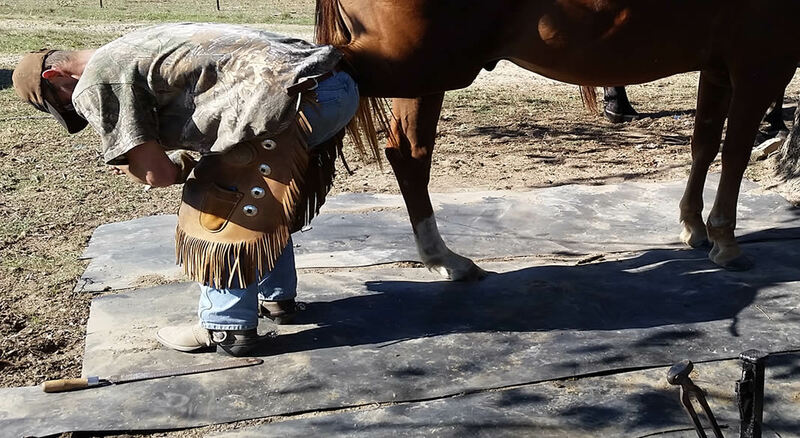 Horseshoeing and farrier services in DeRidder, La., Oberlin, La., Leesville , La. , Dry Creek, La., Beauregard parish, Vernon parish, Allen parish.